The Good, the Right, and the Fair? is a comprehensive introduction to contemporary moral and political philosophy especially suited for undergraduate students in medicine and the life sciences. The book covers first questions concerning the good: What makes a life worth living? Is it only humans who matter morally? Is welfare all that matters? It then proceeds to a discussion of the right: How ought we to act? The major ethical theories of the western tradition are presented and their strengths and weaknesses discussed. Finally, key aspects of the philosophical discussion of the fair, including matters of equality, justice, and liberty, are laid out for the reader. 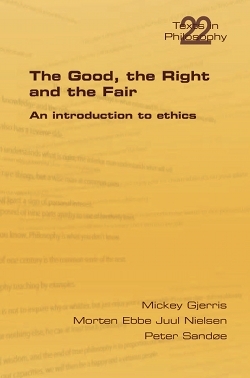 Emphasizing a pluralism of reasonable views, and with illustrative examples drawn primarily from medicine and the life sciences, this book is meant to spur interest in, and to qualify deliberation about ethical issues, rather than to advance specific conclusions concerning morality and justice.